Dr. Poulter first experienced “mindfulness,” “guided imagery” and/or hypnosis over twenty five years ago while in graduate school. Dr. Poulter firmly believes and knows that anyone can be a participant with Hypnosis, which is a deep state of relaxation. If you can fall asleep then you are capable of developing your ability to relax when the “storms” of your life become overwhelming and you want to maintain your emotional balance and inner peace. Dr. Poulter is an author and a licensed clinical psychologist that incorporated this modality into his everyday life and clinical practice. 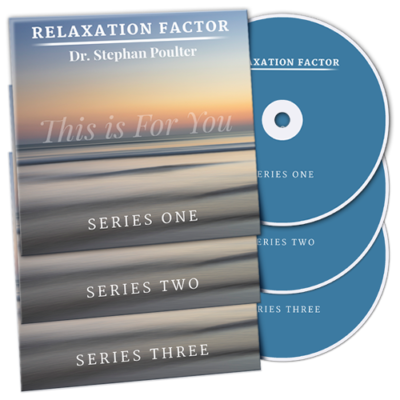 Relaxation is a very powerful tool for achieving new levels of personal, professional success and relationship accomplishment. Session 1-Mindfullness in a Mindless Moment: Developing your inner peace and psychological calmness. This practice of Mindfulness creates a deeper personal awareness of your minute to minute activities. Allowing your personal power of purpose and meaning to be a daily experience. Creating emotional distance from “old” fears and negative reactions to the people and events in your life. Session 3 – Calminess in a Panic Moment: Maintaining and assessing your internal equilibrium during your personal emotional waves. Practicing and choosing to live your life without Anxiety, Panic Attacks or Phobias. Developing the emotional endurance for the “highs” and “lows” of your daily life, family, job and whatever else upsets you. Riding the “waves” of your difficult circumstances rather than being washes away by them. Session 4 – Feeling Fulfilled – Weight loss and Emotional insight: Your sense of deprivation, emptiness and sadness can’t be healed from the outside. It is an “inside” job without the help of “comfort” food. Separating your emotions, feelings and self-defeating habits from your intelligence, knowledge and personal insight. Allowing yourself to feel your “feelings” and understanding your reactions to them. Developing contentment and personal self-acceptance from your own “peace of mind.” Food is no longer your only source of comfort and fulfillment. 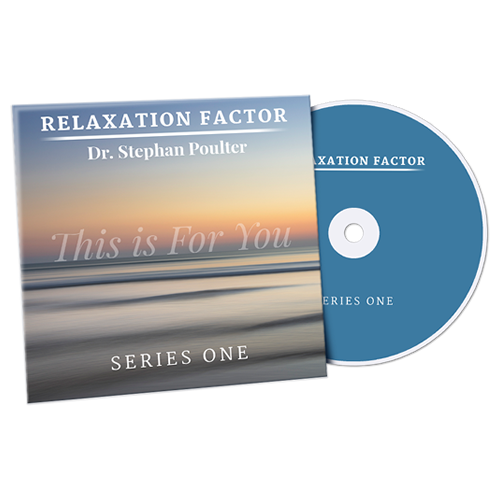 We trust that you will benefit from listening to Dr. Stephan Poulter’s Relaxation Factor, and wish to convey a few simple ideas to keep in mind before you listen to any of the sessions in it. Do not listen to any of the sessions in The Relaxtion Factor while driving a motor vehicle or doing anything that requires your careful attention: such as tending to your child, running, cooking, bathing, working, or watching a movie. Otherwise, virtually any time is a good time to become more mindful and relaxed. Pick a time of day or situation that is conducive to maximizing your ability to relax by finding a quiet place to close your eyes and let go of your day. There is no “right way” to use the Relaxation Factor: repetition is the best way to retrain and create new ideas about how to manage your daily circumstances and life. 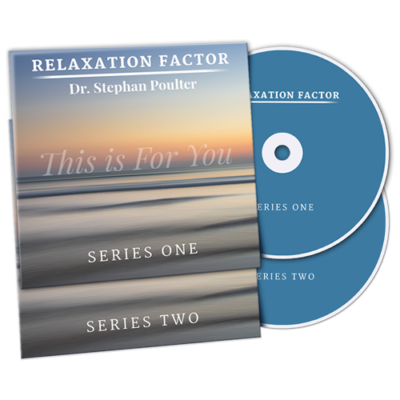 Listen to the Relaxation Factor frequently, over weeks and months to achieve the maximum benefit from it.